The intent of the Z2 was to take the small size and weight of the Z1 CPAP and make it better. We made it 29% quieter at the air intake. And we added an Auto Start / Stop Feature which senses when the mask is in place and the patient is breathing. The result is a better CPAP machine that still fits in one hand. Light – only 10.5 ounces. The Z2 is a very light cpap machine. At only 10.5 oz it is a great everyday machine that is also ideal for travel. The Z2 has an optional integrated battery system called the PowerShell. It delivers a full night of cord-free power on a fully charged battery. The Z2 is data-capable and records all information on events and compliance. With our free Data Viewer software and Nitelog app, data is presented in a user friendly interface where you can track your progress. Fixed pressure or auto adjusting cpap – The Z2 is available either as a fixed pressure cpap or an auto adjusting cpap. Auto Stop and Auto Start / Stop feature – The Z2 CPAP detects when the mask is removed to stop therapy. The Z2 Auto detects when breathing starts in the mask to start therapy and when the mask is removed to stop therapy. One of the greatest issues cpap users complain about is the difficulty in exhaling against the pressure exerted by the cpap machine. 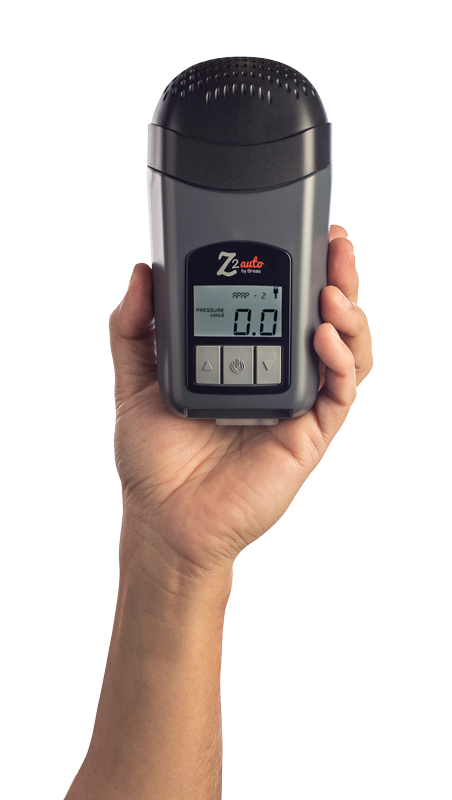 The Z2 CPAP machine uses the proprietary Z-Breathe comfort feature which is designed to smooth out the breathing cycle by minimizing the impacts of spikes and drops which occur. Just 6.48″ x 3.30″ x 2.02″ and 10.5 oz.